Want to be a proofreader? 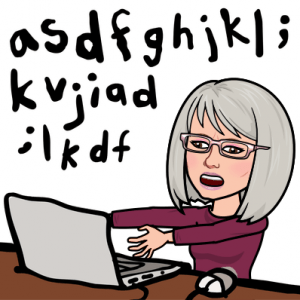 Wondering about proofreading training? Are you a possible client wondering about my professional qualifications? In this episode I go into more detail about my ongoing training to develop my proofreading business. If you haven’t read the other blogs in this series, find them on my website – https://proofnow.co.uk/blog-tall-tartan-tells/. 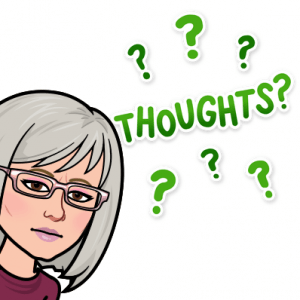 If you are confused about what proofreading training to do (and training is VITAL to show your professionalism) this blog may help you make up your mind. Especially, if like me, you have no background in publishing. After three decades as a Primary School teacher, I had succumbed to work-related stress and was on sick leave for five months. Then I had to come to terms with a dawning and daunting fact: a life I had known for 30 years was coming to an end. I was desperate to find a Plan B. The medication for my newly discovered heart problem (atrial fibrillation) was taking time to embed, and I looked for something to take my mind off my worries. I saw an advert in a magazine for a proofreading course and thought – marking’s my thing, why don’t I try it? *It* was the Chapterhouse Correspondence Course in Proofreading and Copy-editing. I was eager to change direction. I pottered through the course while ‘lunching with ladies’, enjoying my recovery. It took me six months to undertake each section of the four modules. I was happy with what I learnt in the proofreading basics: the 2005 BSI proof correction marks, shorter and longer exercises to practise using the symbols. The exercises are all done on hard copy with red and blue pen! However, copy-editing confused me. What was my grade? I was just below the threshold for a pass. This all happened before my business and website was a twinkle in my eye. But the thought was in the back of my mind. I registered as unemployed, and as detailed in Episode 2, subsequently applied for the New Enterprise Allowance. Become a member of the SfEP. Of course, if I had known then what I know now … NOW I am aware that the SfEP (Society for Editors and Proofreaders) and the PTC (Publishing Training Centre) offer the most creditable training in proofreading and copy-editing. There follows a brief summary and my take on each course. These have contributed to my upgrade from Entry Member to Intermediate. For all the SfEP courses, you are appointed a tutor and given login details to a forum for students within the course section, to ask questions within a safe environment. Here is the link to the Training page of the SfEP website. By 2016, as I had already got the basics in proofreading knowledge, I headed towards the online course ‘Proofreading Progress’. (Then P2. Now the final of three.) I learnt LOADS more, got confused many times, then thankfully reached surprising clarity and confidence. Grade: Pass! I was now able to add my qualification to my website with pride. My main motivation for doing this particular course was that up, until now, I had worked solely with students, proofreading theses and dissertations. I could justify charging more for services if I could offer more skills. As with all the SfEP courses, I found out that there was much more to references than I imagined. It is an online self-assessment course which means that you learn the facts, take the test at the end of each exercise, check the answers, and move to the next exercise. The concepts covered include the systems of author-date, short-title, and number systems. A useful tip I picked up was to use the software Edifix. Finally, you print the certificate to confirm completion of the course. It was the hardest course I have ever done. I didn’t enjoy the experience at all. But I learnt a massive amount about a huge variety of references. I completed the course by October 2017. My notes will be referred to when I need them. Sophie O’Rourke – Managing Director at emc design. She covered what freelancers need to know about the current requirements of educational publishers. Astrid deRidder – Head of Global Custom Publishing at Macmillan Education [international/ELT focus]. Very entertaining and knowledgeable about making educational textbooks relevant to international and particular cultures. I had come across the concept of live tweeting at the end of the SfEP 2018 Conference. I just thought, naively, that some folks couldn’t put their phone down, ignoring the speaker. Au contraire. It turns out I am old-fashioned. Some folks like to make notes by live tweeting. I just don’t get it … I had pen and paper. Credit to Caroline Orr of Durham – she was especially skilled at it. I found out when I checked my phone afterwards, on the way to the tube station, and saw her continuous streaming of a well summarised speech. Anyway, back to Education. As someone who has used textbooks in the Primary classroom for decades, I find the development of e-learning materials most interesting. For at least the last 10 years, starting with the installation of interactive whiteboards and projectors, and each teacher being given a laptop, the developing complexity of technology has been exciting. Coupled with the changing National Curriculums from the government of the day has led to startling, but inevitable changes in the way teaching and learning happens in the classroom. The arrival in schools of banks of iPads added a new layer of excitement when used as a resource in subjects like ICT (Information and Communication Technology). Though now I think it’s just called Computing (Primary Curriculum 2018). The devices made Guided Reading group sessions very popular, using the Pearson scheme called Bug Club. My favourite new technology is augmented reality, e.g. pictures in books being brought to life by an app. I think. I first saw this in practice in an EYFS (Reception) class of 4-5 year olds. It really got their attention! I have been fortunate that I have been able to invest in my ongoing Continuing Professional Development (CPD) with the SfEP over the last three years. What’s the expression? You have to ‘speculate to accumulate’. The importance of training was expressed well in the most recent SfEP Editing Matters. My hope is to save enough over the next few months to take part in the Mentoring Scheme as a mentee. Plus attend the SfEP 2019 Conference. Booking is nearly open! We’ll all be asking questions. How about a blog about my last two conferences? Alright, if you insist. This fourth episode details the business of preparing for proofreading jobs, and the administrative and accounting side of my proofreading business. 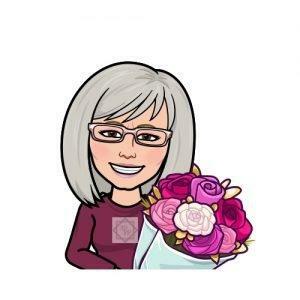 In previous episodes, TTT1, TTT2, and TTT3, I detailed my voyage towards becoming a freelance providing proofreading services after decades as a primary school teacher. Who admits that they actually like paperwork?! a recording system for paid invoices. If you read this blog all the way to the end, you will find the link to free resource templates on my website, which you are welcome to tweak. You soon discover, as a freelance, that you wear many *hats*. Well, my job as a teacher was very similar – time had to be managed efficiently to fit it all in. One of the many *hats* you wear as a freelance sole trader is that of business admin. Once I had built a basic form of my website, I registered as self-employed for self-assessment with HMRC, then prepared the documents. Now I was ready for my first client … eek! Where to find freelance jobs? I signed up for Find a Proofreader. This was the directory I preferred to use to register my services. There is a wide selection of directories out there. There are also strong views about the poor rates offered. They are good to start with for experience. But that’s not for now. Initially, I targeted students, as education is my specialism. I followed the advice of Nick Jones (owner of FAP), from his session at the SfEP 2017 Conference, to make my profile as relevant as possible. Sadly, I have never been quick enough to land a proofreading job with this site. Your application has to be very quick off the mark – as soon as a query is sent out! Universities are another source of work from students. I googled many universities and, in some cases, found the relevant proofreading guidelines page with their policy. I could, therefore, gauge the advice students were being offered. I confess I didn’t know much about marketing when I first started my business. So, imagine my joy, three months after I had applied to be on the Register of Proofreaders at a major university in East Anglia, to receive a query from a student. Once I had seen a sample, we agreed a rate per 1,000 words and the deadline for the return of the dissertation. She agreed to my T&Cs. And I conscientiously got on with the job with fervour. I finished the job in good time. When I returned her checked writing, I attached a copy of my invoice. I was lucky that she was a prompt payer; also that she was happy to give me a good testimonial about my thorough approach. An excellent first job. Phew! Since then I have done proofreading for about 10 students, checking for errors and inconsistencies in spelling, punctuation, grammar and context. Of course there are issues around proofreading for students … How much of the writing do you change? One non-English speaking student wasn’t happy with my proofreading when I sent the proofed dissertation chapter. He pointed out the *errors* I had *missed*. After enquiring, it transpired that he wanted his English to be improved. I recommended that he look for an editor with the permission of his supervisor. As a result of the misunderstanding on his part, I tweaked the wording on the website page for student clients. To make my terms absolutely clear. I emphasised my role: to indicate errors only. With the permission of the supervisor. The SfEP have excellent guidelines on this area called ‘Proofreading Theses and Dissertations’. A question many people ask is “Will I earn enough to pay the bills?” The answer: It depends … Probably not to begin with, as, on average, it can take up to two years to grow your business to something sustainable. In fact, many people have a part-time job alongside editing or proofreading. I go out every afternoon to tutor Primary children – the change of scene does me good. Two other members of my family also have a *portfolio* of jobs: my husband, for example, has a gardening business to pay the bills alongside his other vocation of art. His week is a mixture of both. How much you charge is another debate. A popular guide from the SfEP is ‘Pricing your Project’. Bank transfer is the usual preference as a payment method by clients. Some freelances prefer, depending on circumstances, Paypal or Stripe, amongst others. Again I have observed many views on this subject amongst Freelance Heroes on Facebook (link in TTT3). A tip I have picked up from fellow SfEP-ers is to charge a deposit if the project is large, or going to be split over a few weeks. For one student client, I have charged 50%. But it depends on the freelance and client. For example, that student wanted to send me module 1 to proofread immediately, then, a month later, module 2. She was happy. I was happy. I have got used to spreadsheets. I record the invoice number next to the client name, the amount paid and when. This way my accounts are accurate and up-to-date for tax purposes. Creative paperwork – no not that kind! Now (two years later) I have evolved with my business. More SfEP training and a wide range of networking has encouraged me to psych myself up to try a variety of marketing strategies. ‘Imposter syndrome’ has a lot to answer for. Cold email local businesses, such as Chambers of Commerce, to advertise my availability. Advertise myself to more educational publishers to proofread Primary textbooks, now that I feel competent enough. Provide proofreading specialisms to publishers of children’s fiction and non-fiction. I have discovered that this really excites me! Therefore, my next job is to add to my spreadsheet of publishers to contact. This involves listing the publisher/packager name, project manager/editor contact email, date of my introductory email sent, date of reply (if any). I am pleased to say that, out of the first 15 publishers I emailed, I had a positive reply from two! So have a 13% success rate. Which I’m told is good! But it does mean investing a huge amount of emotional energy, which most of the time isn’t rewarded. But so worth it for the 10%. Learn to develop patience, persistence and perseverance. Or, put another way, ‘a dropped pebble starts ripples’. 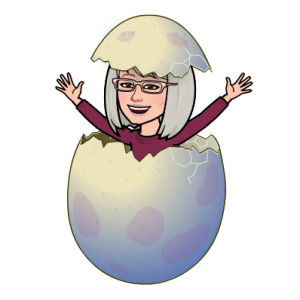 Find free resources for newbie editors on my website. It can be very daunting starting your own business. If you want to ask questions or to share experiences, I’m here. Credit: My resources are tweaked from the resources available on the website for the Society of Editors and Proofreaders. This episode describes the stage with my new proofreading business when I proclaimed my arrival! Building a website, social media and content marketing are skills I used to announce to the world my services as a proofreader. 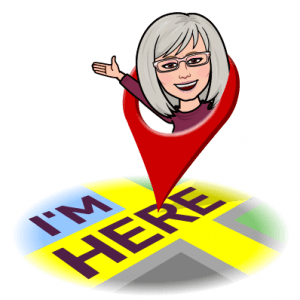 In previous episodes, here (1) and here (2), I detailed my voyage towards becoming a freelance offering proofreading services after decades as a Primary school teacher. In this blog, I describe how I decided on my marketing strategy. As a newbie freelance business owner, I know some folks who cringe at the thought of putting any personal details ‘out there’, on the interweb. But, in my opinion, how else are you going to advertise your services or get business unless you are a presence on-line? “A website is essential: you need a ‘shop window’ to display your business”. These were the words of my Business Mentor at my local Job Centre when they helped me set up as a self-employed proofreader two years ago. So the process of choosing a website domain, a host, and designing my website, plus researching the content marketing world of social media has been a steep learning curve. This is what I did. By January 2017, my NEA (New Enterprise Allowance) Business Plan (with People Plus) had been approved, and I was told to go and build a website. The only domain name which was available and that I liked the sound of was Proofnow. So that was the easy part. Proofnow Proofreader was born! “How do I build a website?” I was heard to ponder. I asked around. Two years later, this is a question I hear asked many times in freelance forums. My only experience had been editing my class page on the school website where I taught. “I hear Godaddy are good,” was one response back then. (If I had known then what I know now … isn’t foresight a wonderful thing?) Fair enough, the building of each page was fairly straightforward: I added Services, Pricing and About pages, with a few photographs for variety. I could add a couple of testimonials after six months. But, although I was pleased with the look of the site on the desktop of the PC, and on the screen of my Android tablet, it looked dreadful on my mobile. By December 2017, I knew I wasn’t going to renew with Godaddy. So I did some fairly intense research on who would host my website next. I copied everything over from the soon-to-be-expired website, probably using old-fashioned techniques, and not how a designer would do it … But, after a couple of phone calls to Siteground customer service, who were very supportive, I was up and active with my new host. Phew! Next, I won a website audit with Ahmed Khalifa (a Digital Marketing and WordPress expert). Receiving a friendly critique with excellent tips; followed by more research with other website gurus, including Dave Smyth and James Devonshire (Freelance Heroes), gave me the courage to tweak the theme and wording even more. I am now even happier with my website and proud of what I have achieved so far. It is easy to manage, and looks great on a mobile! I mention this because statistics show that mobile devices are used more for browsing websites than any other. Folks want to look up a linked site spontaneously and even instantaneously. So, it is essential that your website works, and looks good. Anywhere. On any device. how does a new client get in touch with you? *1 This method of your ‘About me’ page not actually being ‘About me’ (ironically) has been repeated by many on social media. It has been a revelation in tweaking how my website is worded. I can’t find the various links at the moment, but if someone can post them that would be appreciated. *2 Advice from John Espirian and other content marketing gurus. *3 Canva, recommended by Louise Harnby, is a design programme for those who have basic technical skills. I found it really useful when ensuring consistency in the design for my banners for marketing my website and social media profile pages (covered next). To my mind, this represents ‘joined-up thinking’. Everything I tried with my website was using trial and error, with the undo button at hand. Also with sheer surprise if something worked first time! LinkedIn, Facebook, Twitter, …? What a minefield! What kind of content marketer are you? I know some folks who steer well clear. I know some folks who do it ALL, spread themselves EVERYWHERE. Is that a good idea? Does it work? Does it GET you work? I have had a personal Facebook page for 10 years: I use it to stay in touch with friends and family, as well as previous and new colleagues met through networking. The first thing I did on Facebook when I started my business was to advertise Proofnow Proofreader as a business Facebook page because that was the medium I understood. Then I met fellow SfEP-er John Espirian, and learnt A LOT more about how to use LinkedIn. For example, build a profile page using specific criteria as he describes here. He recommends liking and commenting on the posts of others to engage in conversation. This raises the visibility of your profile. To some, LinkedIn is seen as the conference side of social media, where important leads can be followed, and serious business connections are made. Work may even follow from said connections. This is my favourite way to share with colleagues as it feels more business-like. Here is my LinkedIn page. Judge for yourself. Why don’t you try personalising your invite to connect? Then I will understand how we can help each other. The main advice I have gleaned over the last two years is from content marketers such as Andrew & Pete of Atomic Creative Content Marketing, and MANY others. They say: do what works for you. If you can cover all (and it’s not recommended – unless you have more than 24 hours in your day), fair enough. I need to do one of them well. Do it with purpose. Do it with meaningful content. But, in my opinion, colleagues have their own preferences when it comes to social media, so sharing your content needs to cover all bases. When I was teaching, and was so frustrated that I felt like shouting at the class or an individual, it was generally much more effective to whisper “When I say … I mean it.” Pause. You could have heard a pin drop with the silence and anticipation. I hope that my whisperings of marketing are making a difference. Perhaps I should be shouting. I am certainly anticipating that doing all I can to market my business will result in getting my name out there, which should result in getting the work in. When I married Tom, my artist husband, in the late 80s, my father asked him to which galleries he had touted his work. “I don’t really work that way,” was my husband’s reply. Dad took it upon himself to go around many galleries in Glasgow (at the time we lived nearby in Ayrshire) to promote his son-in-law’s art. I like to think that I have inherited my father’s skills in marketing. He would be proud. Having discovered a VAST array of tips in content marketing, I am still, not by any stretch, an expert. Everything I have learnt has been absorbed so much by osmosis. Much like a lot of newbie freelances I suspect. 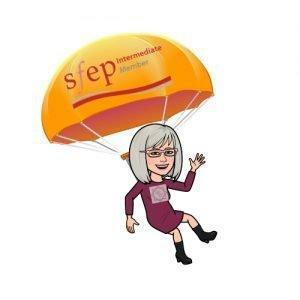 These guides from the highly experienced SfEP members (Society for Editors and Proofreaders) support newbie editors; connections on LinkedIn; Freelance Heroes Facebook page is another gem for tips from website and marketing gurus, plus many other specialist freelances, where you may also find that others are interested in your services. I have found myself giving tips about LinkedIn to my local networking ladies, Winning Women in Chelmsford. In summary, whatever medium you use, the algorithms love it if you like a post, comment and share what other small businesses are doing. It can’t help but raise your profile and those of others. Networking IRL (in real life) with local groups is a great way to get out and about while promoting your business. It is incredibly useful if you can offer business cards or leaflets which act as a reminder of who you are and the business services you are offering. Moo.com was recommended to me as a business card provider. Their website is user-friendly, with professional-looking products. I’m on my n-th set of 50 cards and they are always complimented. There is some debate as to whether off-line marketing (on paper) still serves a purpose. But I’m old-fashioned enough to market myself in as many ways as possible. All my social media links are on my cards (again, an area for debate is how much detail to put on them). Nevertheless, I am proud to say I give out my cards to all and sundry! In my next blog, I recall answering my first query from a student. (Just trying to get a sample out of them, while they check if you’re available, when they haven’t actually written their thesis yet.). Taking tiny steps as I adapted templates to compose my contracts, T&Cs, create invoices for payments and feedback forms. As a freelance sole trader, you find that you have to be in charge of EVERY facet of your business: admin, IT, marketing, finance, … and that dreaded tax return. I wish you a healthy and happy 2019! Thank you to Lisa De Caux (Intermediate Member @The SfEP) for proofreading. Welcome to my second blog. In Episode 1, I told you a bit about myself and how I became a freelance proofreader. 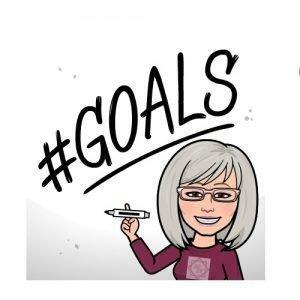 This blog gives a bit more detail about my first goals: my business plan, training in proofreading, and how I got here. ‘Here’ is actually the dining room of our Victorian terraced house, which doubles as my office. Annoyingly, we have no extra room for a dedicated office, so, before dinner, I have to shift laptop and papers from the dining table to the sideboard, so we can eat a meal together. Meanwhile, my husband has the luxury of his studio space, at the bottom of our 100 foot long garden, to paint. His studio is next to the chicken coop, so he has company down there, chatting away to the three clucking girls when stretching his legs. If you like birds, the theme develops, so … keep reading. How did I get here to this point in my freelancing voyage? I remember that a fellow member of the SfEP (Society for Editors and Proofreaders) mentioned on one of the forums a while ago how they much they disliked the word ‘journey’ to describe how the process of going freelance had gone for them. I can’t remember who or why, but it stuck with me. The word ‘voyage’ was much preferred as it sounded more adventurous. So I have magpie-ed it (a term from my teaching days: shiny words borrowed from others to use in one’s own writing). ‘Voyage’ describes the ups and downs of the last two years in my boat (business) called Proofnow Proofreader. Or, to put it another way, ‘a rising tide lifts all boats’. As a former Primary classroom practitioner, I was trained in the Primary ‘Talk for Writing’ project initiated by the poet, Pie Corbett. He was asked by the government of the day to raise standards in Literacy. His theory was this: in shared writing sessions with the class, as ideas are being discussed and written on large poster paper, children are encouraged to write their own version simultaneously. The children get swept along with the enthusiasm of the teacher and the drama of the story, in whichever genre was current for the age of the child, at that stage in the term (e.g. fantasy). A buzzing atmosphere would ensue. Over a week of Literacy lessons, a hanging washing line of beginning, middle and end posters stretched across the classroom. A growing story and a sense of achievement took shape, with – and here I come to the essence – ideas magpie-ed by the children. A few children felt secure when they knew that they could borrow ideas if all they had was a blank page in front of them. Don’t we all need that reassurance? Evidence suggests that their independent writing would grow from practising together. When I left teaching, I applied for the New Enterprise Allowance with the Job Centre. My Business Mentor helped me complete a Business Plan. Compiling the 20-page Business Plan took me a month of research and exploring strengths and weaknesses of the business I had in mind. Googling ‘proofreading’ and finding The SfEP at the top of Google! Second on Google’s list was Louise Harnby and the treasures of her amazing website for editors and authors! Doing a SWOT Analysis (Strengths, Weaknesses, Opportunities, Threats). Finding proofreaders and businesses who I first thought of as competitors, but later discovered how supportive and encouraging they are. What was my marketing strategy going to involve? Was I going to have a website? Was I going to do social media? The answer was a resounding YES. EVERYTHING. Describing the goals and objectives of my business over the short term (0-1 year), medium term (2-3 years), and long term (4-5 years). Describing the trends in my chosen market (students, academic, businesses and educational publishers). Predicted expenditure on equipment and training: how much was I going to spend? 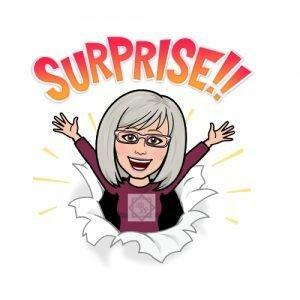 Predicted income from proofreading and tutoring: how much was I going to charge? If you are deciding at this point whether to strike out on your own or not, the business tools from the Princes Trust are recommended by others setting up as a freelance. Planning and preparation are essential. I have read so many jewels of advice about how important training is. Preferably from a respected organisation such as the SfEP or PTC (Publishing Training Centre). By January 2017, I had registered with the SfEP, and because it was vital that I train first, by May of that year I had completed my final SfEP Proofreading Course. Also important was learning how to use the BSI symbols (British Standard Institution marks). There is much discussion as to whether the symbols are valid these days as businesses and non-publishers are unaware of them and have no need of them. But, I felt, knowledge of their use added professionalism in case I got an opportunity to work in publishing – education in my case. They are like learning a new language, but I was happy to add them to my skillset. For those considering or currently doing the Proofreading Courses, other skills you will learn are: proofreading against copy; proofreading blind; proofreading tables and references; and proof-editing vs proofreading in Word. You will find that proofreading is SO much more than you first thought. You may prefer copy-editing, which is also offered by the SfEP. Have a look at the wide range of courses offered – both core skills and editorial. The courses consolidated my knowledge and confidence. I was ready to take on work as a proofreader. My newly hatched website was designed and updated with my qualification. Now I could build experience. So my next goal was looking for work in proofreading. I was both excited and terrified about the possibilities, and of what the future would hold. Luckily, I have a supportive husband who would take on a regular job, while I struck out with my fledgling business, Proofnow Proofreader. Initially I would focus my marketing efforts on students. Well it made sense, with education being my specialism. I also started tutoring Primary children in the afternoons to help pay the bills. In my next blog, I will describe the process of choosing and designing my website and researching the content marketing world of social media specialists. Hello – and welcome to my first blog as a freelancer. I know, it was a surprise to me too! If I organised myself enough to commit to blogging once a month, once regular deadlines were met – planning needed. If I could find enough topics to write about – turns out there’s plenty of advice out there. So I set about doing research into the skills of and theory behind being ‘a blogger’. Following certain gurus on social media, ‘bookmarking’ marketing advice offered on their excellent websites such as Jammy Digital, John Espirian, and Louise Harnby, and a few more I could mention, I’ve done a LOT of reading. And persuaded myself to ‘bite the bullet’. when I carried out my first private tutoring job with a Primary pupil after not teaching for 18 months. All nerve-wracking stuff. All to be developed in detail in my ‘How I got to this point’ blogs to follow. Name for my blog – describe me? So – to choose the name for my blog. As SfEP colleagues who attended the last two Annual Conferences will know, I stand out, because I am 6 feet tall. I can be spotted across a crowded room. Helen Stevens, a fellow lofty SfEP-er, and a huge support to all, commented to me at Conference, “It’s good to talk to someone taller than me!”. I am also proud to have held onto my lilting Scottish accent: I spent my first 23 years living in Paisley, in the West of Scotland. I consider myself Scottish. Having said that, the last 30 years of my life have been spent in the pretty countryside of Essex, in East Anglia, immortalised in my husband’s oil paintings. I could succumb to the accent of Estuary Essex … nah. A family conference (about much more important matters) finished with me uttering, “So I’ve thought of a name for my blog. What do you think …?”. I look forward to sharing my experiences as a new business owner and proofreader with you, while giving useful tips along the way about what I’ve learnt. I’m sure, if you’re a newbie freelancer, you will be having the same doubts, fears and excitements. Why not share them? Have some flowers. My pleasure.